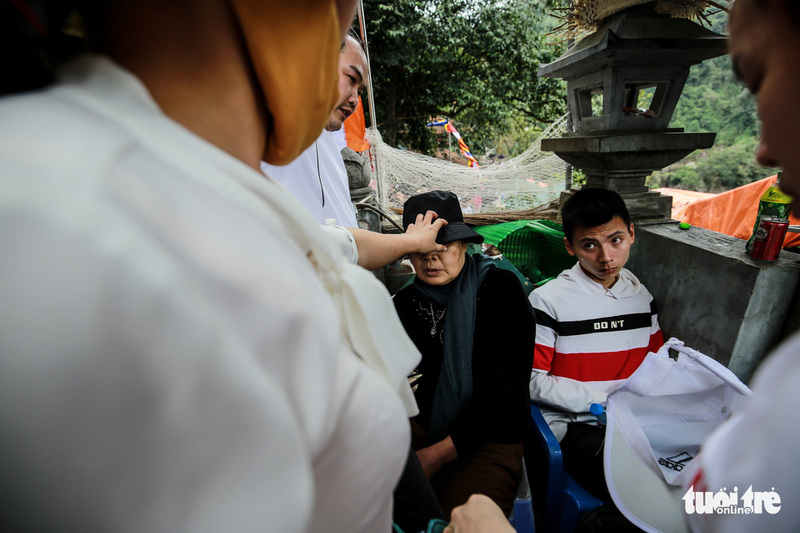 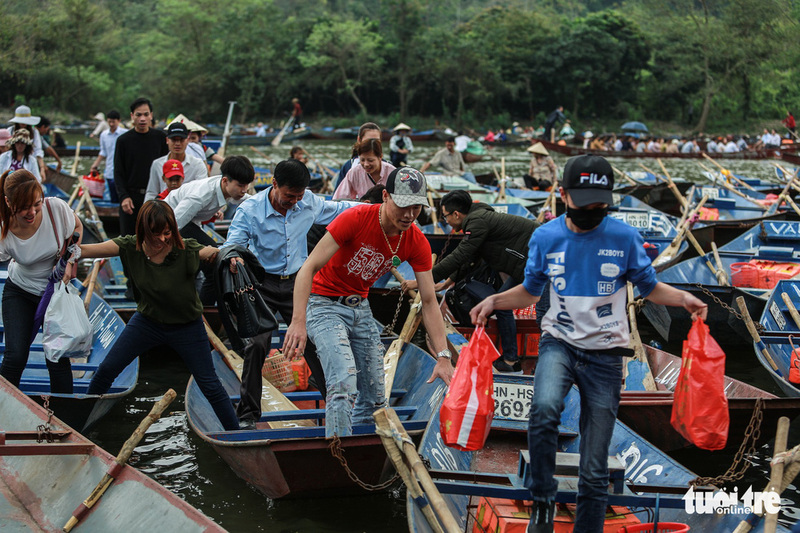 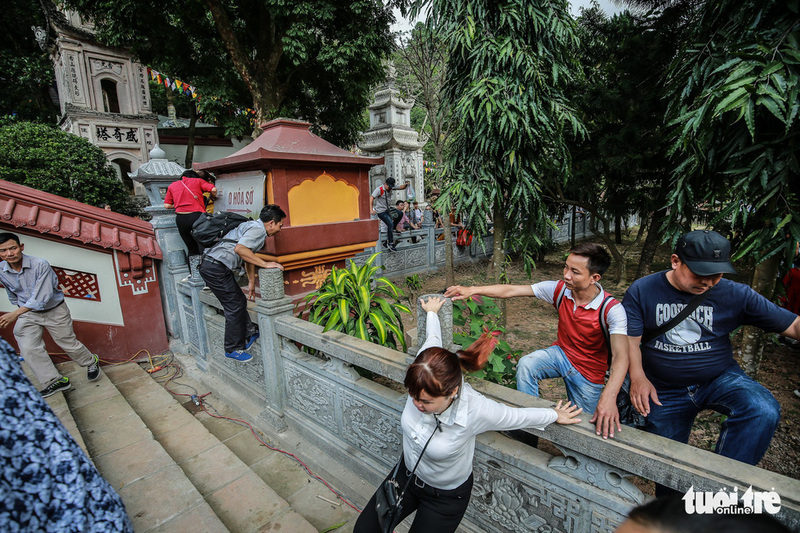 Some visitors fainted while many jumped the queue as hundreds of thousands of people flooded the iconic Huong (Perfume) Pagoda in rural Hanoi on Sunday to attend the opening ceremony of an annual Buddhist festival. 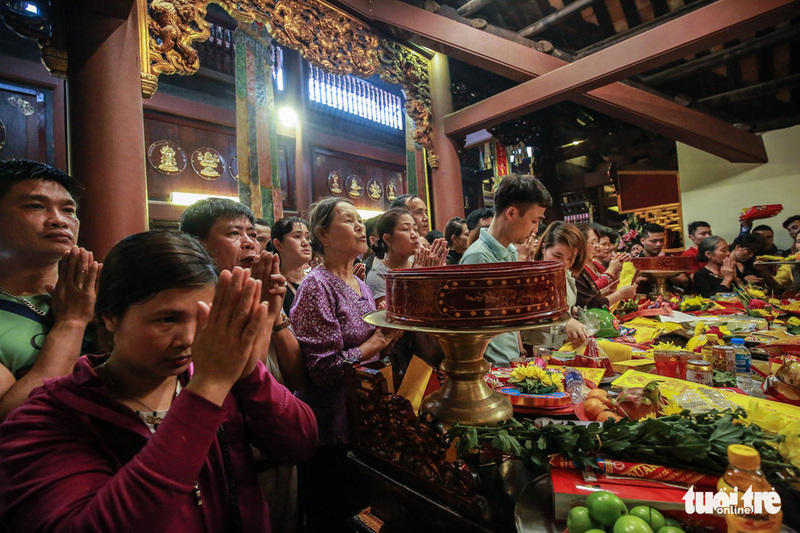 The Huong Pagoda Festival is one of the most important of its kind for Buddhist followers in northern Vietnam, observed from the sixth day of the first month until the third month of the lunar year. 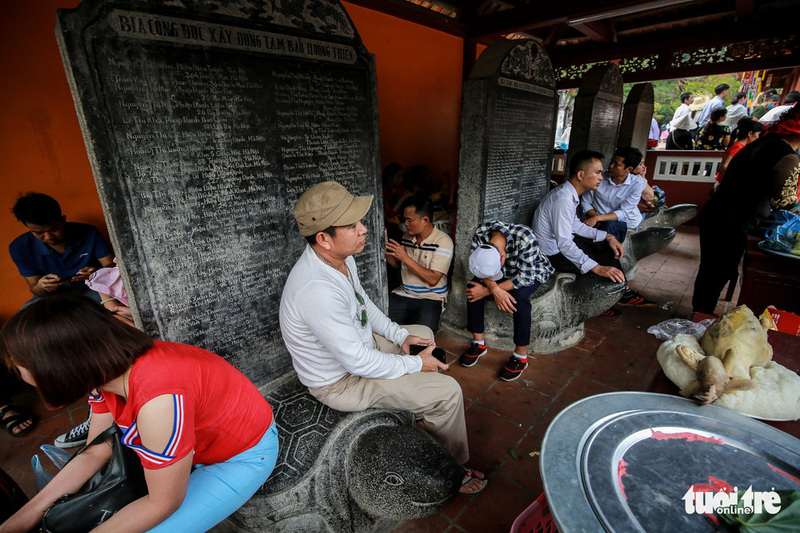 During this period, Buddhist followers would go on a pilgrimage to Huong Son District in Hanoi, which houses a vast complex of religious attractions including the Huong Pagoda that was first built in the 17th century. 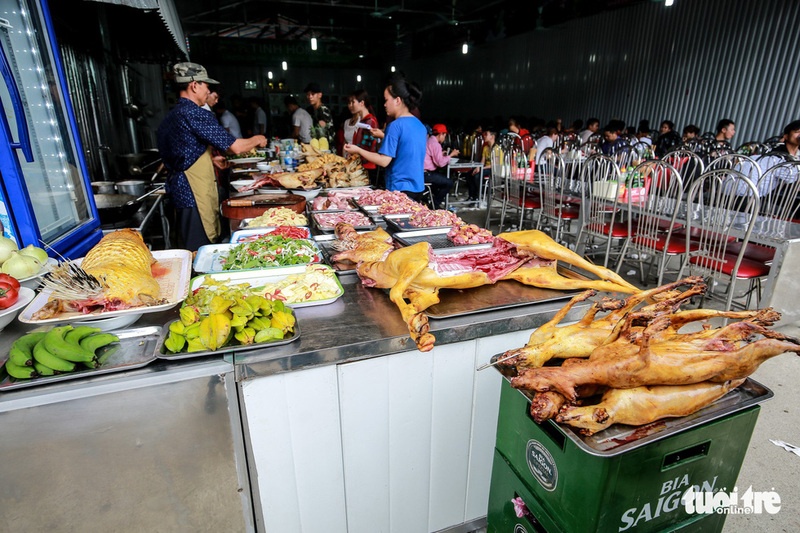 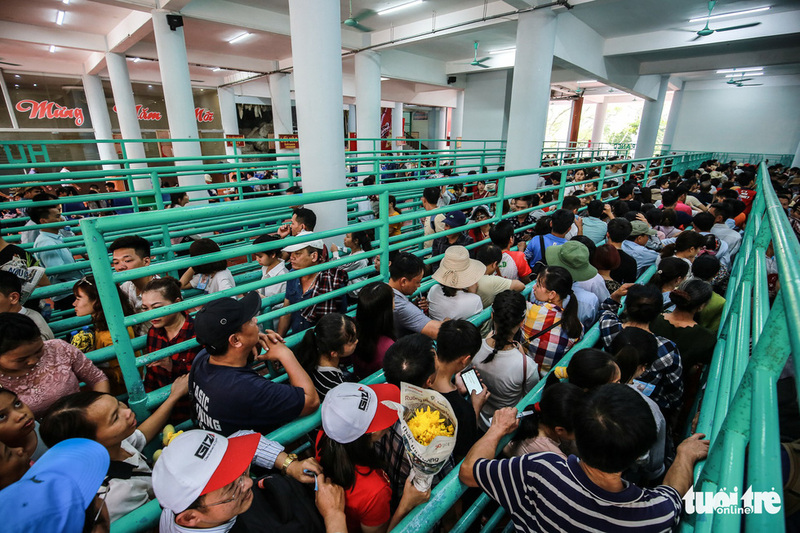 This year, the festival’s opening ceremony fell on Sunday, the sixth day of the lunar Year of the Pig, attracting around 50,000 visitors from across the region. 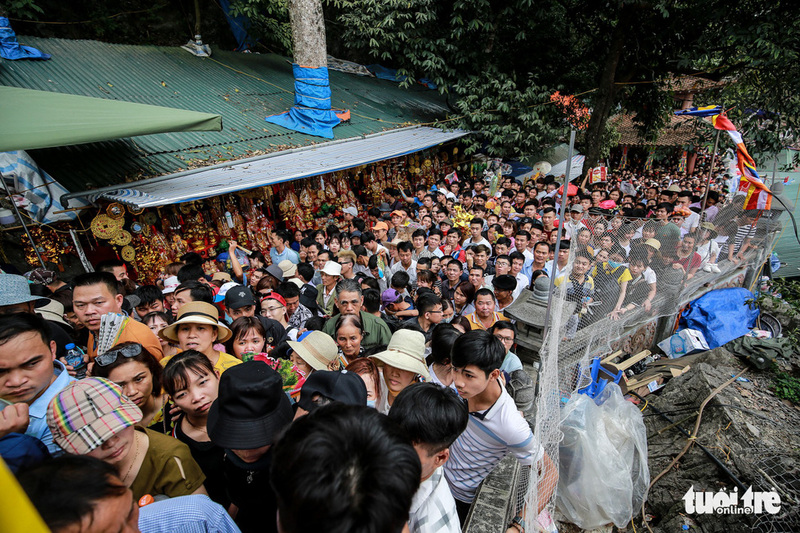 It is estimated that nearly 125,000 people visited the Buddhist complex between Thursday and Saturday, before the festival began. 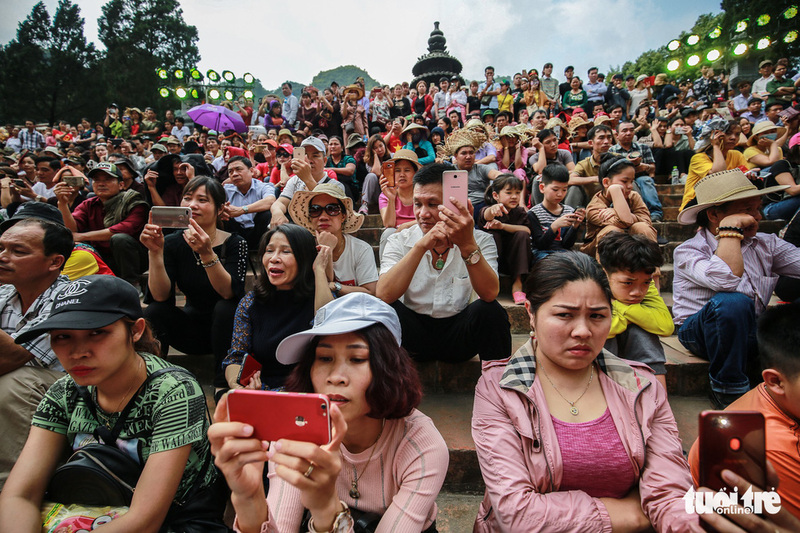 The early summer heat did not discourage festival goers from elbowing each other for hours to even get to the pagoda’s entrance. 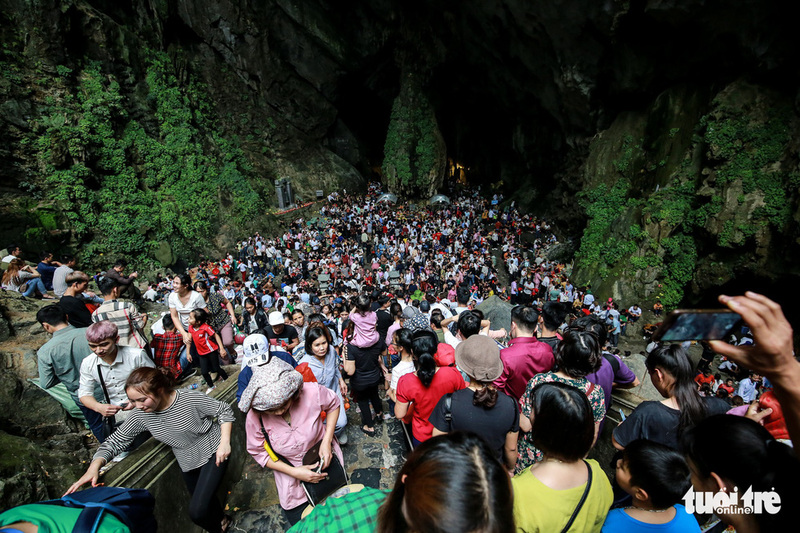 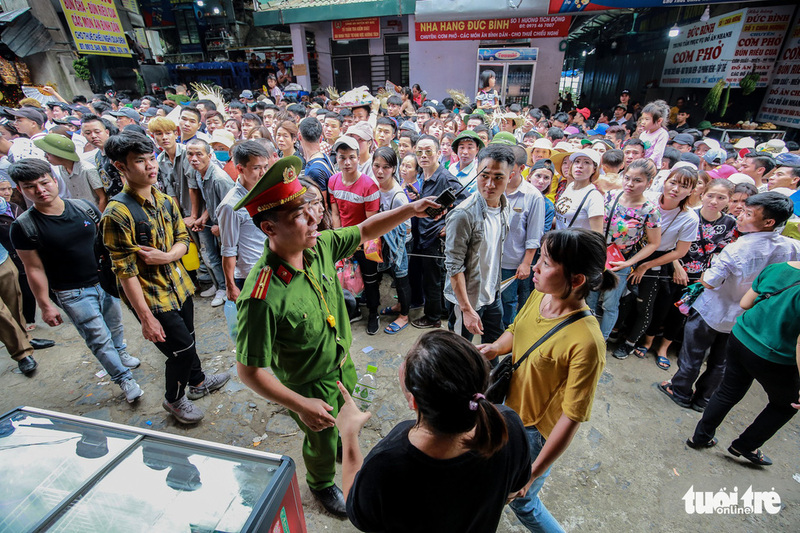 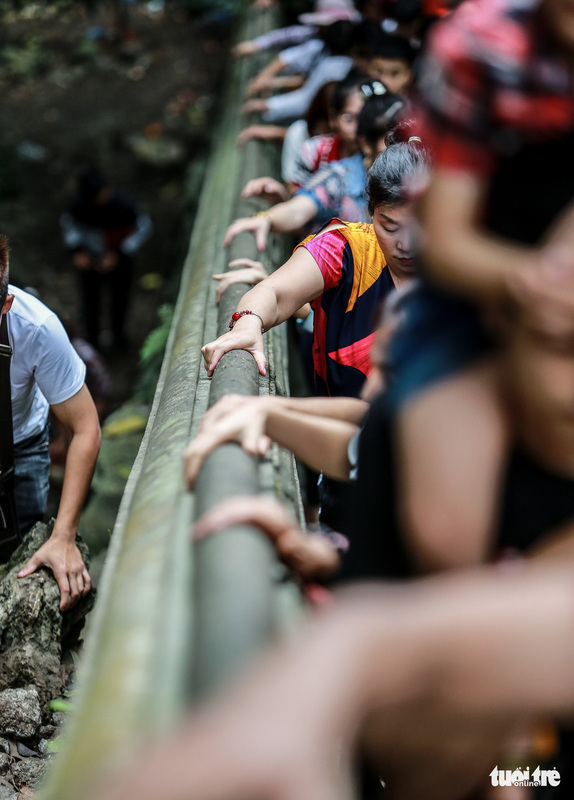 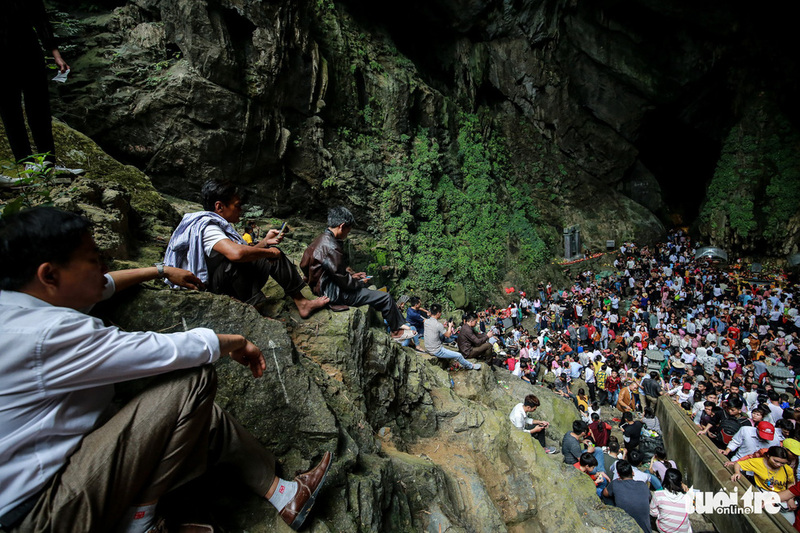 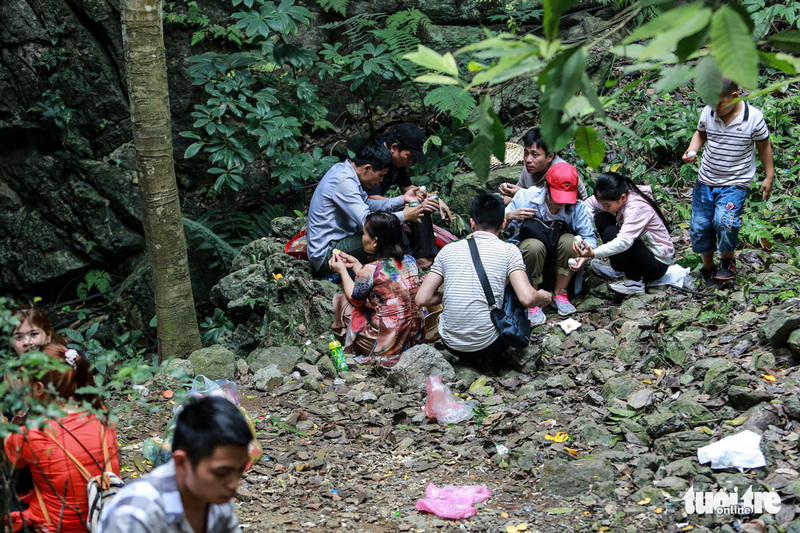 A cable car system installed at the site to help transport visitors to the Huong Tich Cave, where a famous statue of Guan Yin is located, was also overloaded with an hour-long queue. 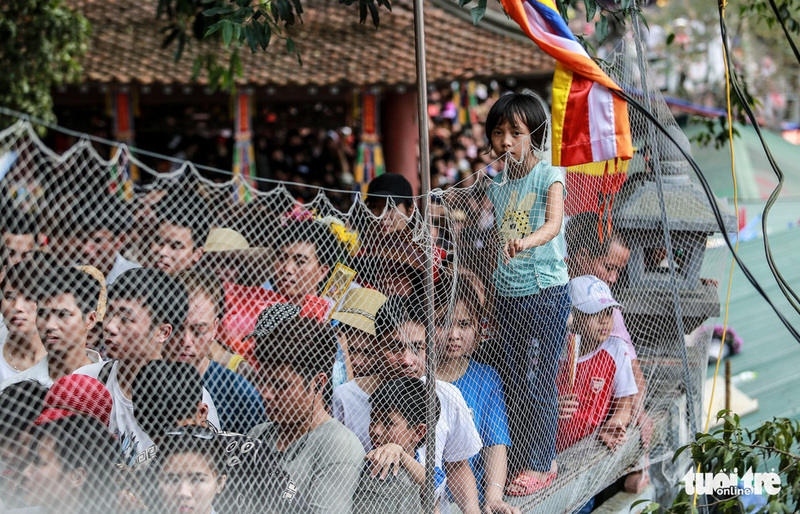 Impatient visitors were spotted climbing over the fences to cut in line, while others fainted from the heat and suffocating crowd. 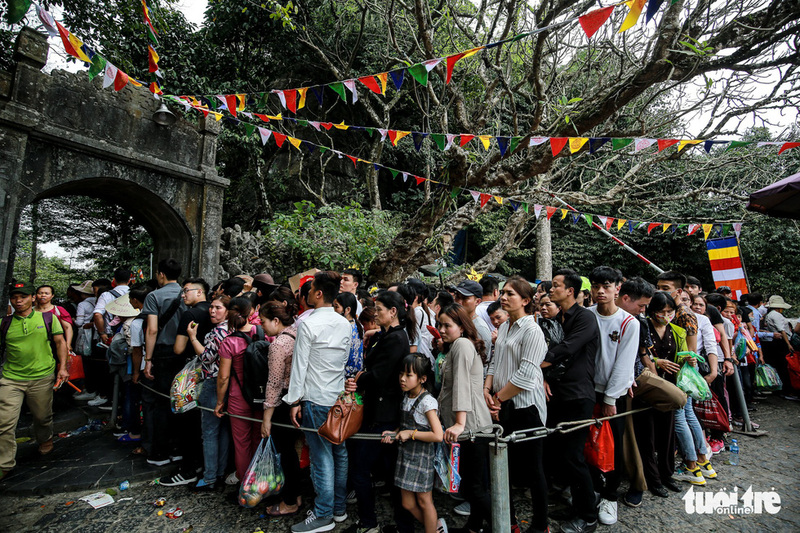 Parents who came with their young children had no choice but to turn around and abandon their pilgrimage after witnessing the chaos.